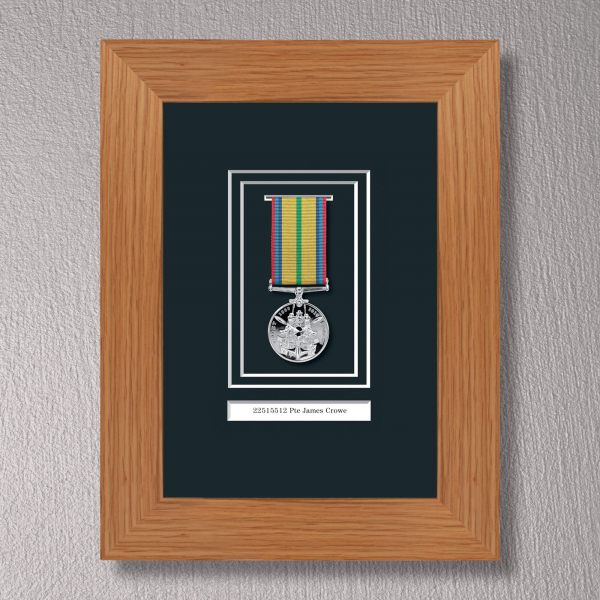 Select one of the three finely created medal frame options in Mahogany & Gilt, Black Stain and Light Oak. 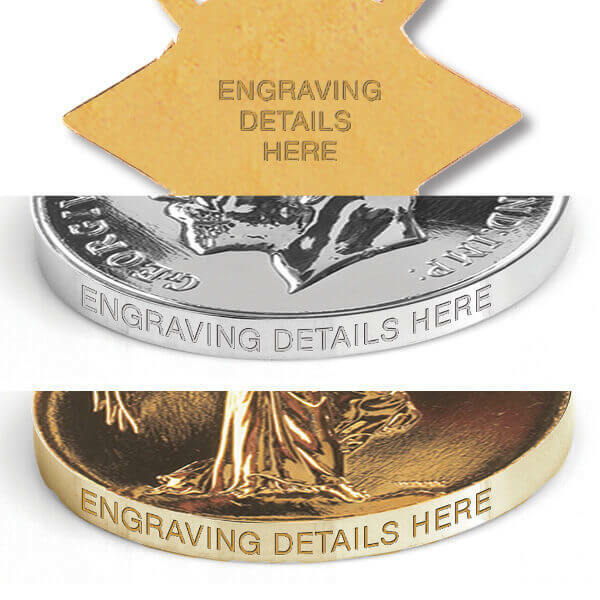 They all have the same number of mounting options and a 35mm mount with 2mm safety glass. 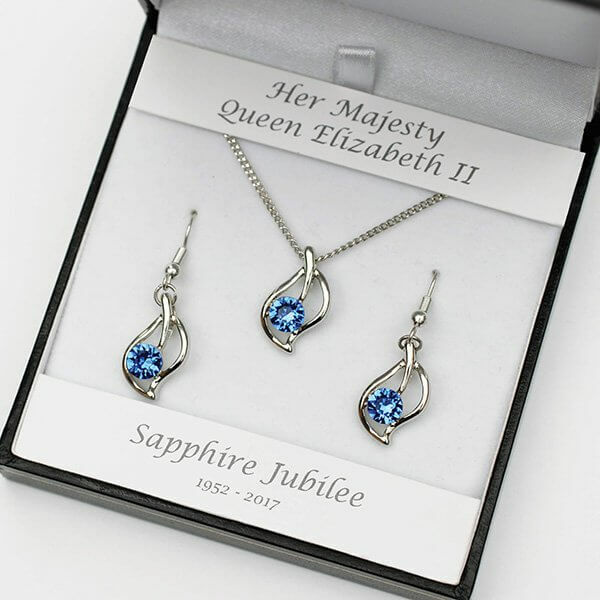 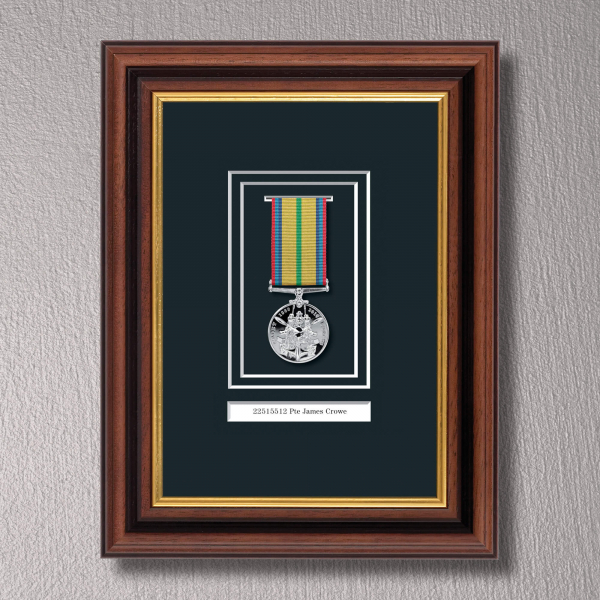 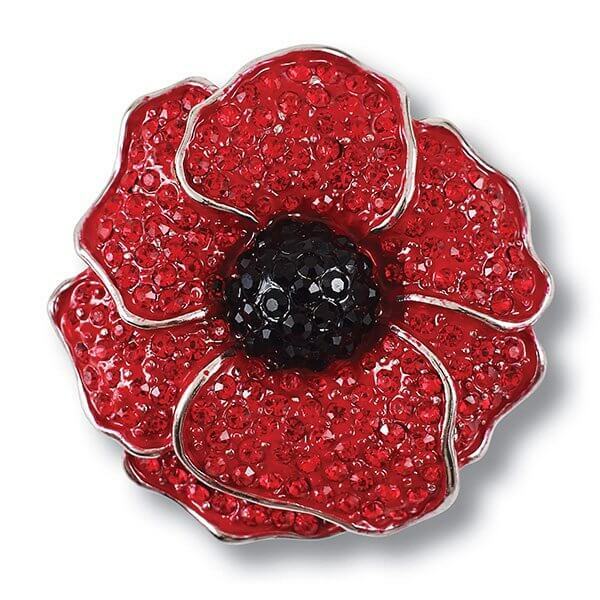 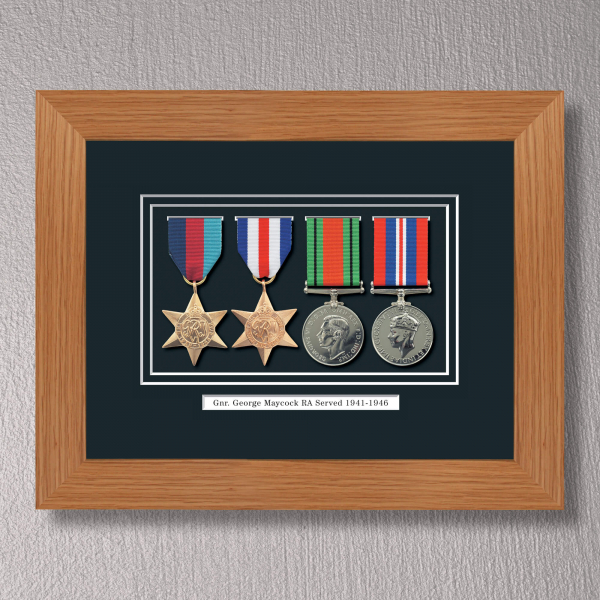 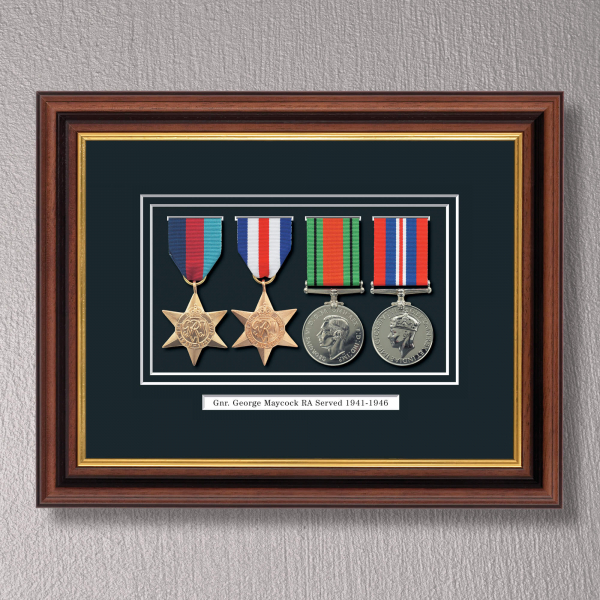 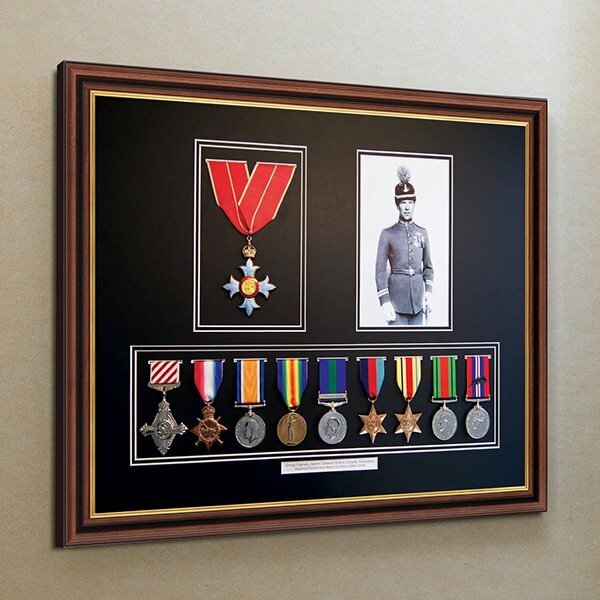 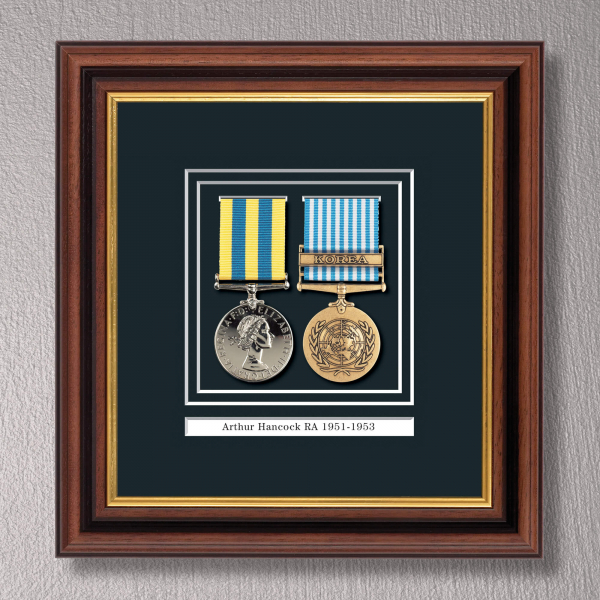 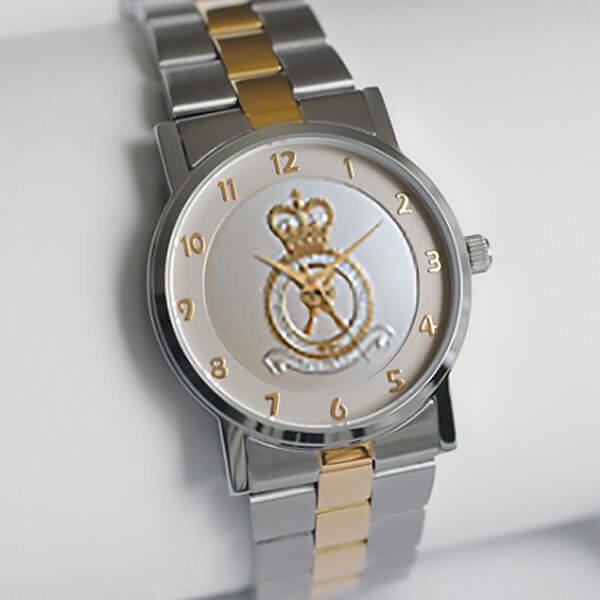 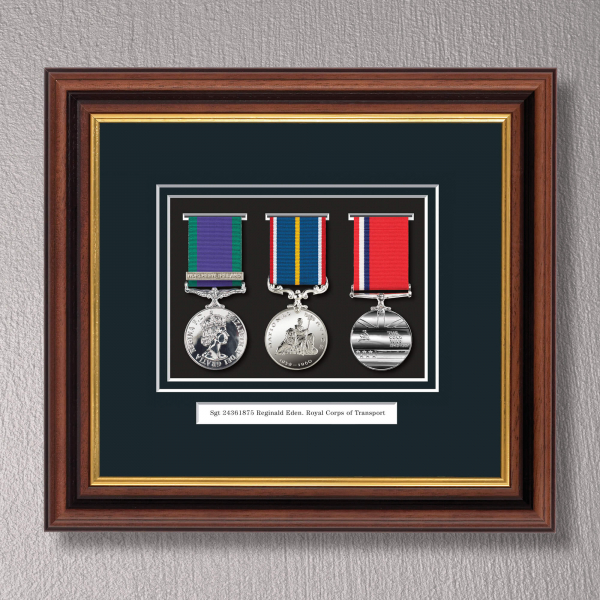 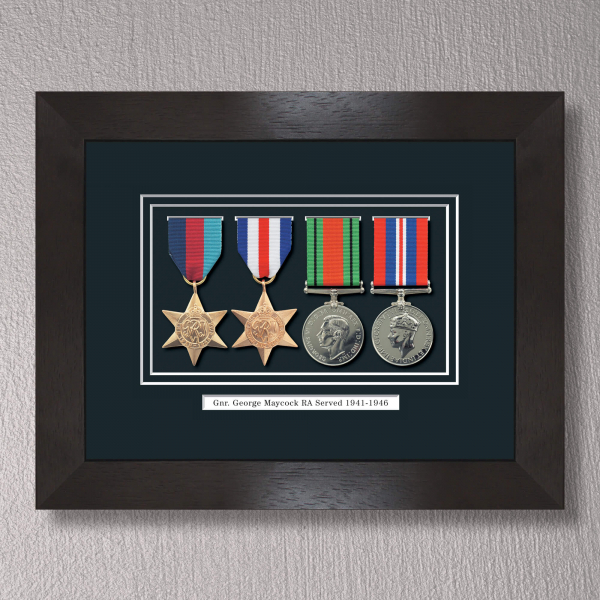 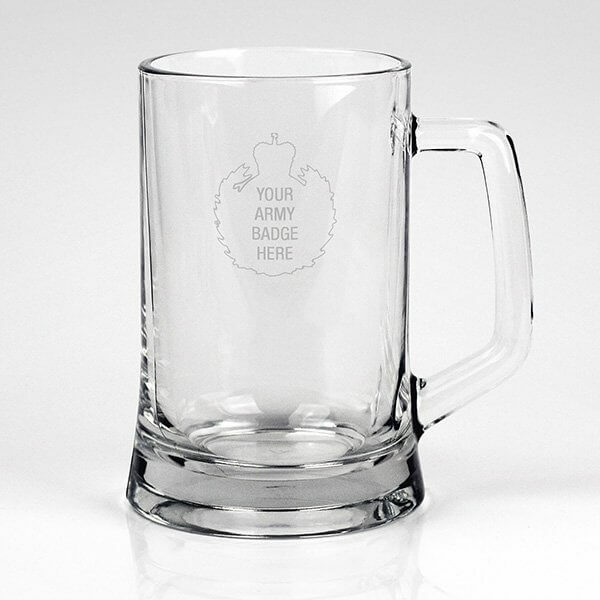 Dimensions: 203mm (8") high and width will vary depending on the number of medals displayed. 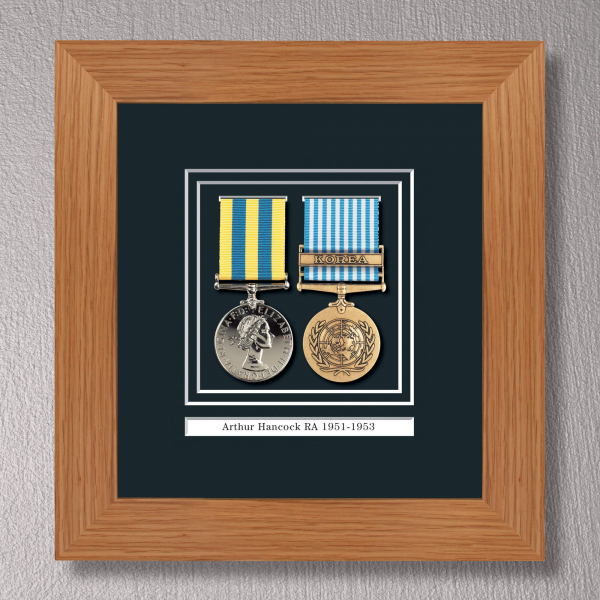 All frames can be personalised with service details or any message of your choice up to 40 characters. 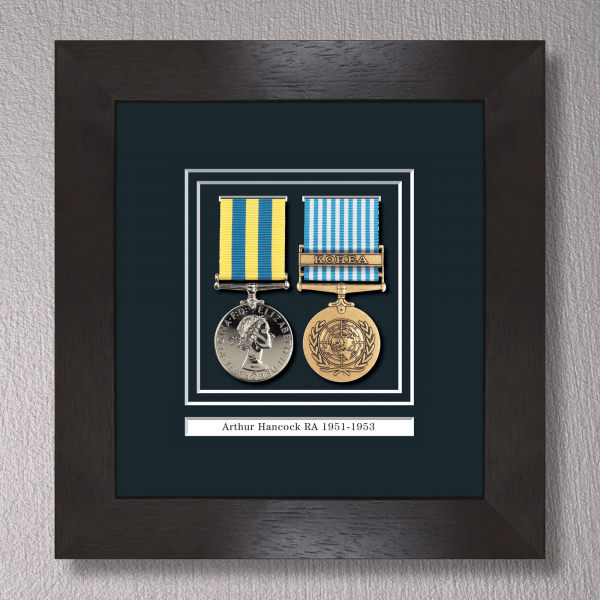 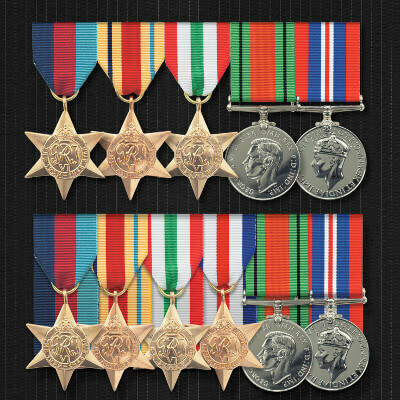 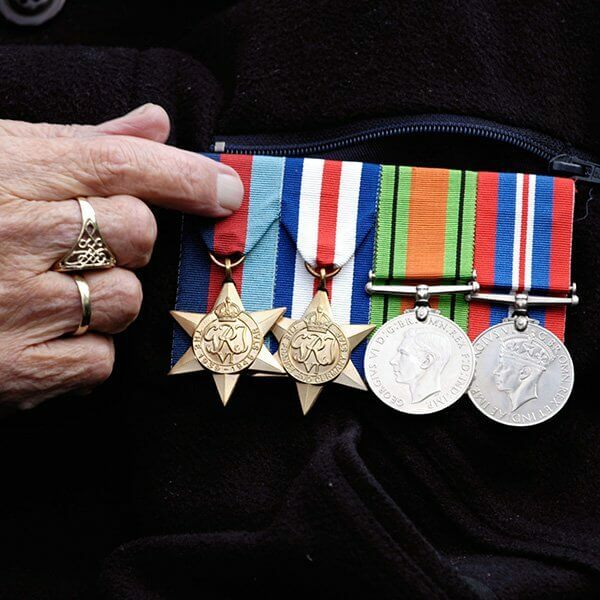 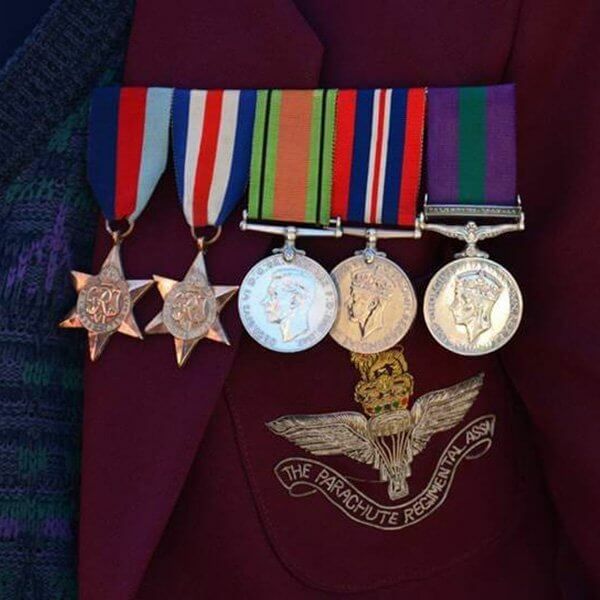 You can send your medals to us or purchase medals from us and we will professionally mount them in a frame for you. 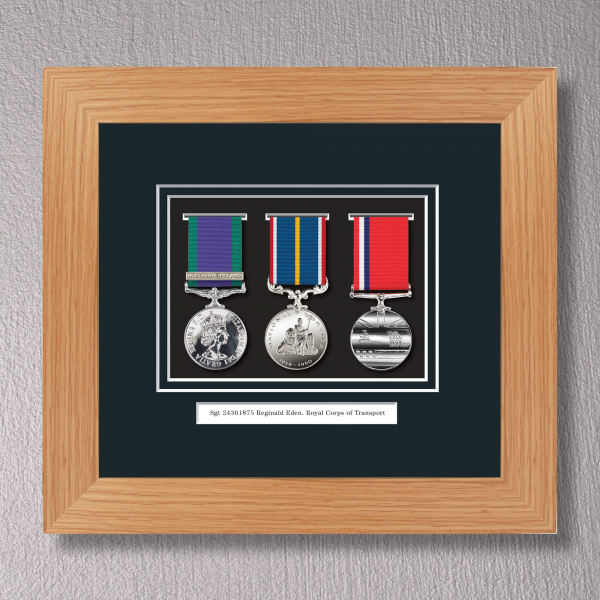 Alternatively, you can buy the frame and 'do-it-yourself' with our kit which comes with fittings and full instructions.